Oh my goodness, you guys!! I can’t even tell you how incredibly stoked I am to share today’s blog post! 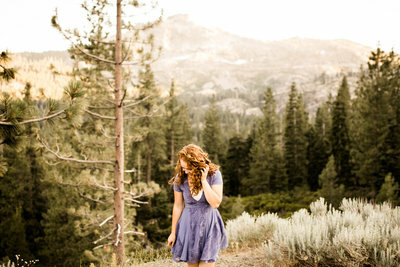 Photographing these gorgeous people in the mountains was a DREAM and I have to tell you how it all came to be! A few months ago, I mentioned to my 2018 brides that I would be in Colorado this month if any of them happened to want to fly out for their engagement session. I was fully expecting it would be a long shot for any of them to be available the dates I was there and up for it! So you can imagine my excitement when I saw Tillie’s email in my inbox asking about dates!! The fact that I had the opportunity to photograph these two in the mountains of Colorado was a dream in itself. But that they flew themselves all the way out from Missouri was the greatest honor!! Gosh, my couples are the bomb. But let’s be honest – who doesn’t want engagement photos in Rocky Mountain National Park?! I could shoot there every day of the week and not tire of those stunning views!! These two were absolutely amazing and put up with all of my “let’s randomly stop here and take photos on the side of the road! !” antics. ;) Super grateful for couples that trust me!! But honestly, I had such a sweet time with these guys I’m so thankful we were able to make this happen! Pat and Tillie, I cannot wait to photograph you two again next May – this time under some beautiful oak trees in Missouri. ;) On Cinco de Mayo no less! Let’s just say I’m expecting one heck of a good celebration! Enjoy a big peek (I couldn’t help myself) through your engagement session, you two! !